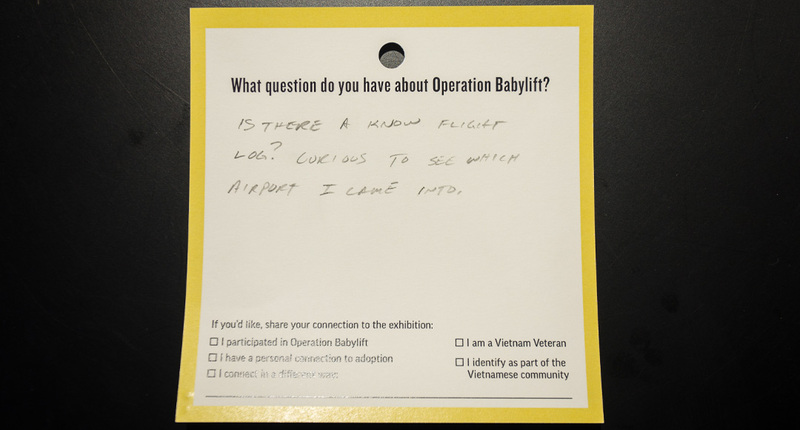 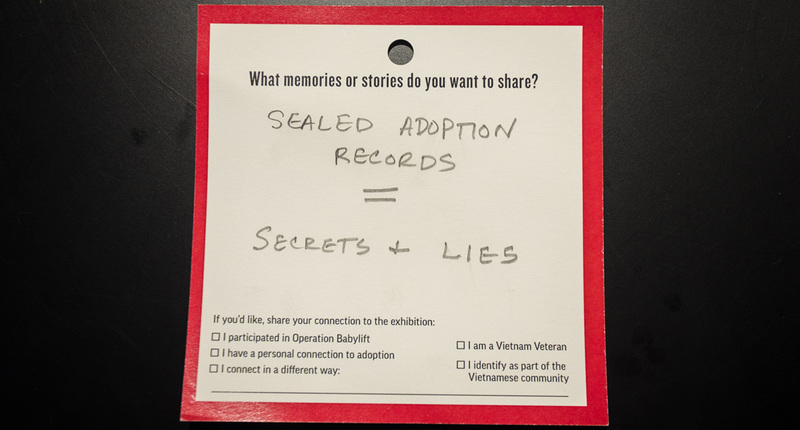 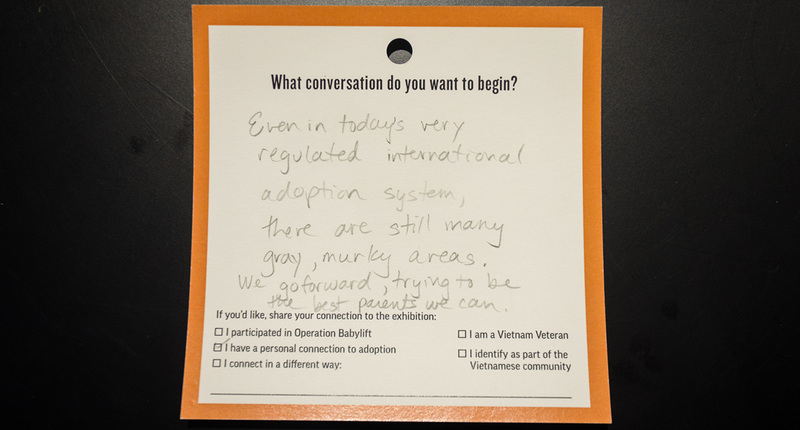 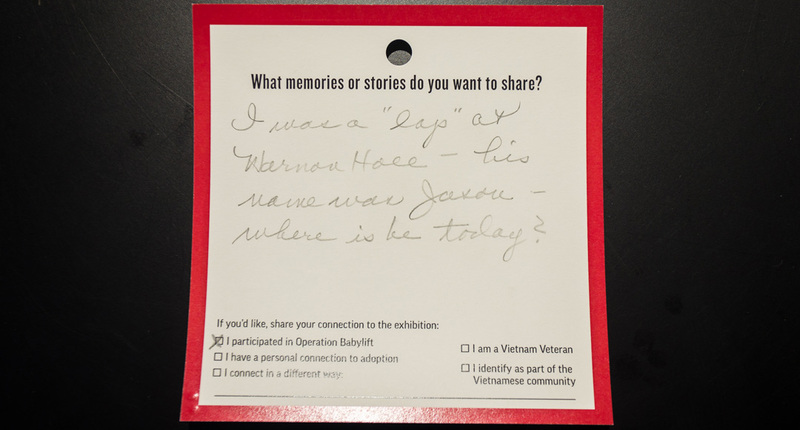 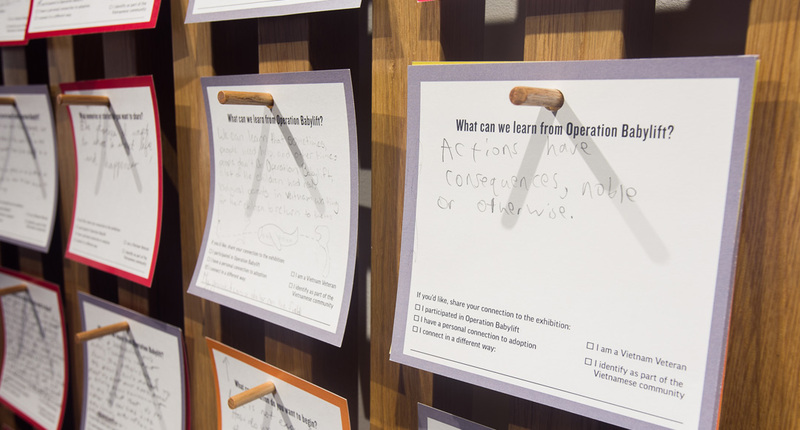 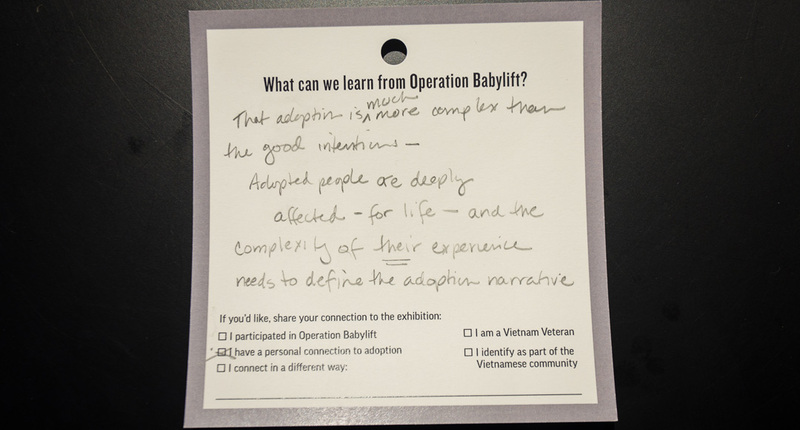 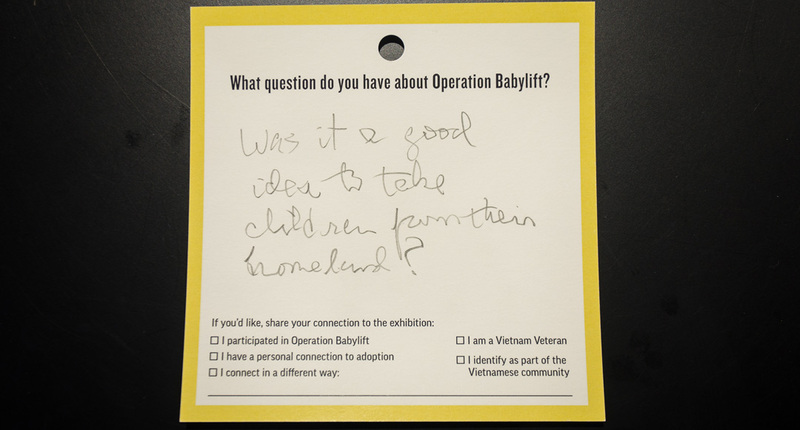 Visitors to the exhibition could respond to four questions: What question do you have about Operation Babylift? 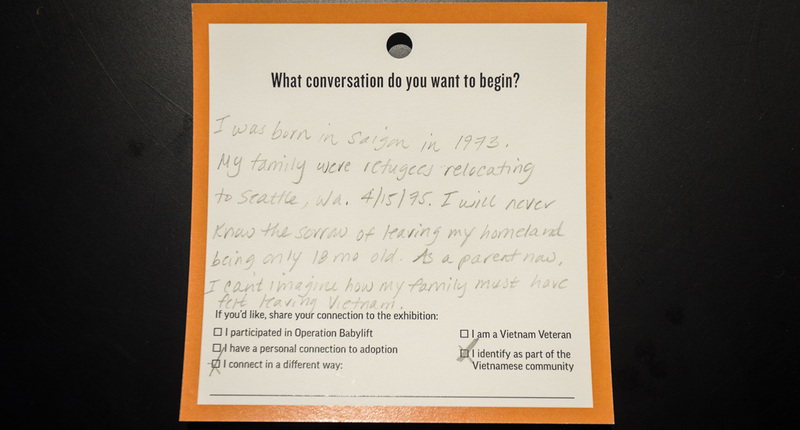 What conversation do you want to begin? 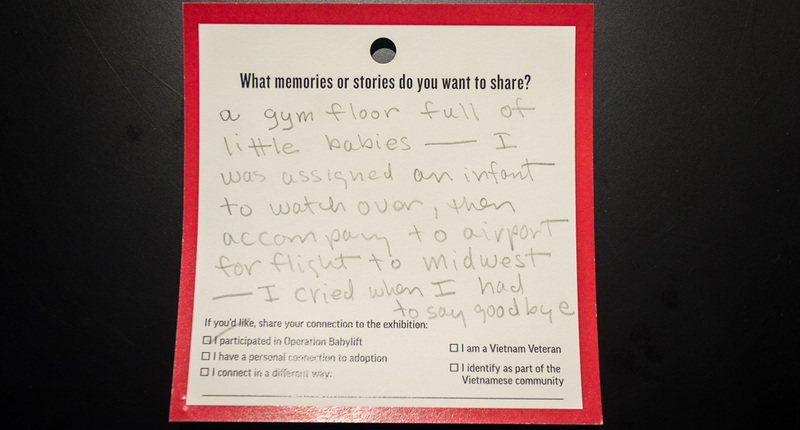 What memories or stories do you want to share? 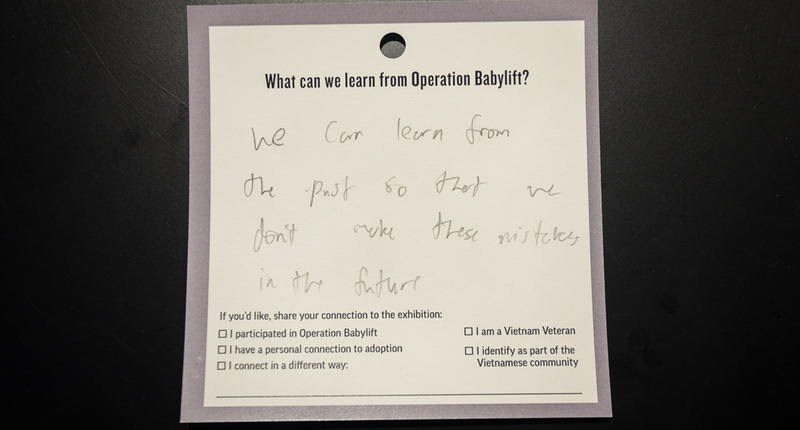 What can we learn from Operation Babylift? 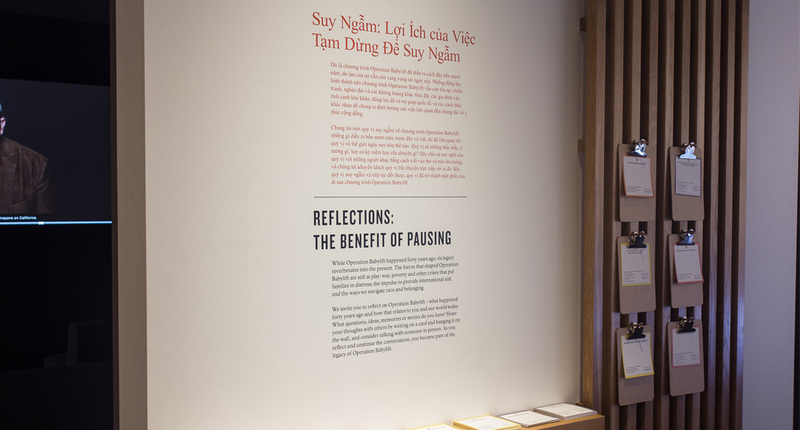 This area of the gallery was called “Reflections: The Benefit of Pausing”. 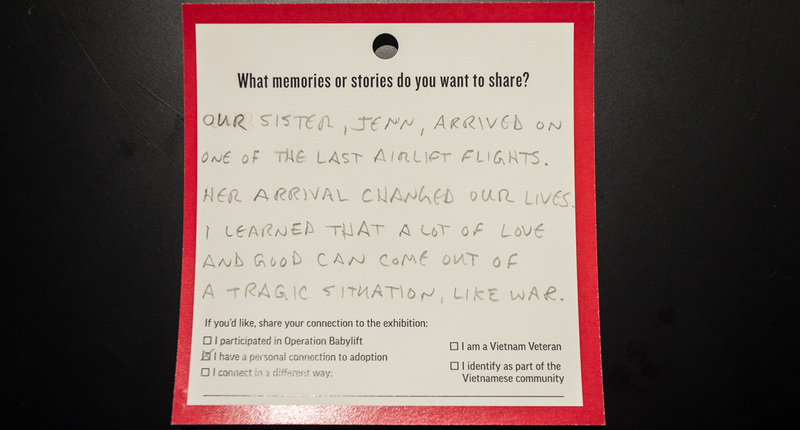 Visitors wrote and posted over 350 cards. 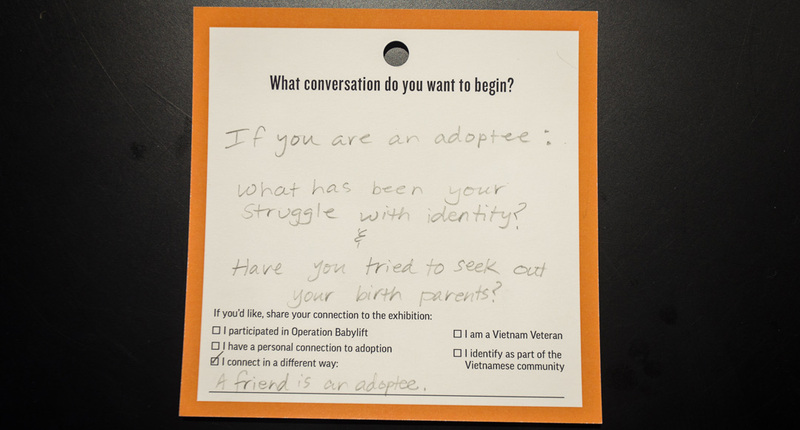 You can read some of them below. 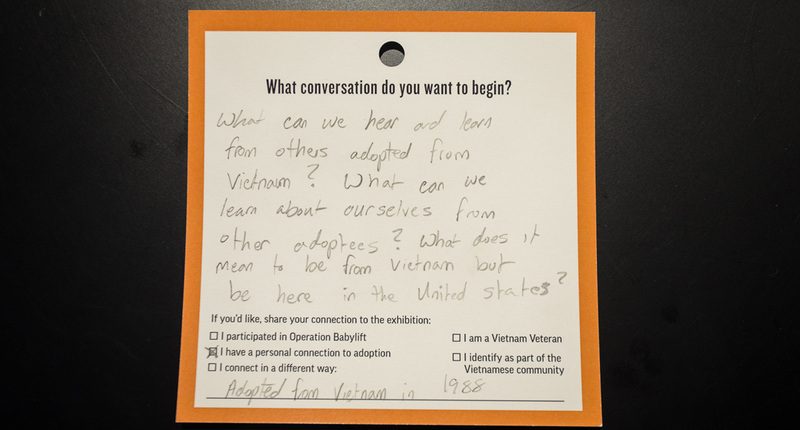 They expressed an extraordinary range of feelings, ideas, personal stories and questions. 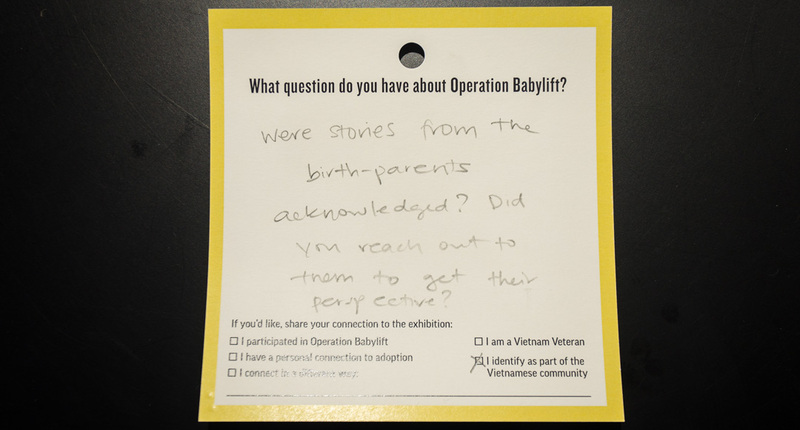 They reflected on Operation Babylift and related topics, including today’s international adoption practices and refugee crises. 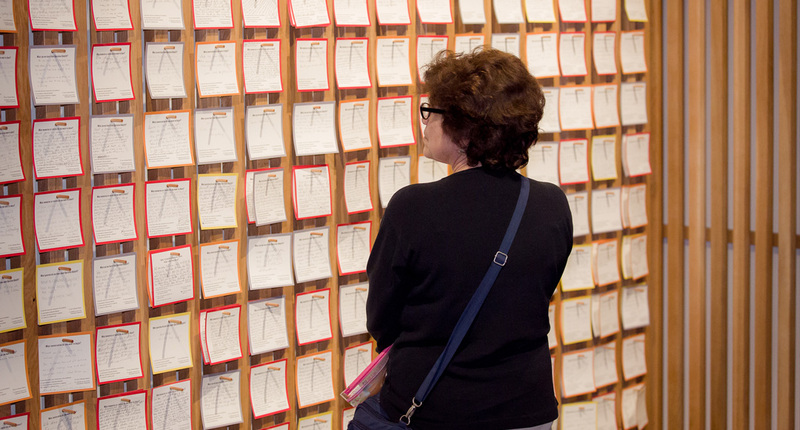 The wall of displayed cards became a living artifact, growing and changing every week. 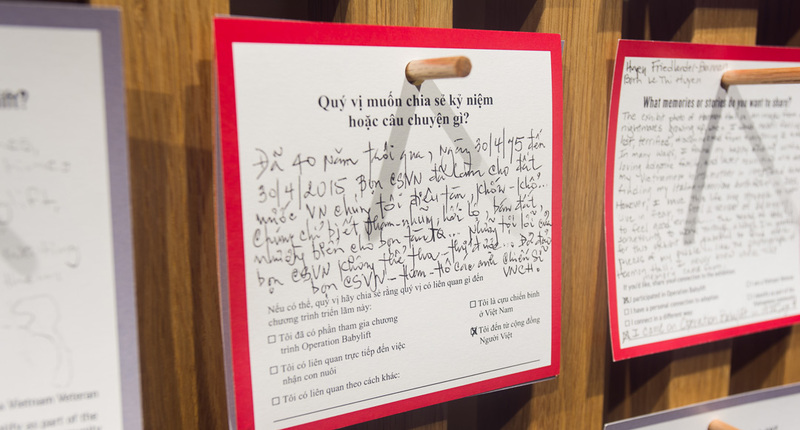 It became one of the most popular and powerful areas of the exhibition, where visitors lingered to read the handwritten messages and have conversation.